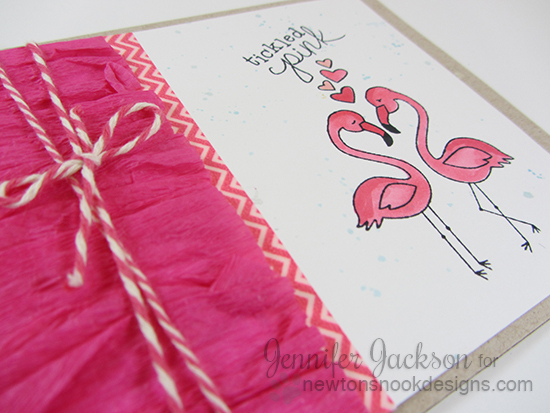 Newton's Nook Designs: Tickled pink Flamingo card with Streamers! Happy Monday! Sometimes Mondays are rough so I'm hoping this fun pink card will help make you smile today! 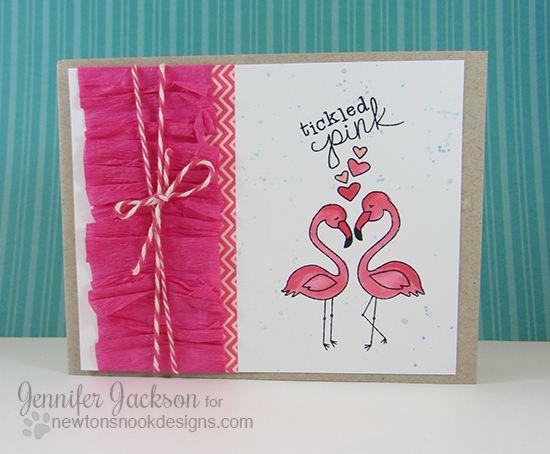 I used our new set, Flirty Flamingos, to create this fun little scene. I colored the flamingos on white cardstock with copic markers and added the hearts and the "tickled pink" sentiment above them. Then I added a few blue speckles around them to add a bit of beachy-ness! I also made a fun little ruffle using party streamers. I have some different bits of leftover streamers from parties lying around and it thought it would be fun to try to use them on a card! Aren't the streamers super fun? I just kind of ruffled them up and added them on with some adhesive. I also added a bit of chevron washi tape and some pink and white bakers twine to finish it off. I know it's A LOT of pink - but I thought it turned out to be pretty cute! Our Inky Paws Challenge is now open! 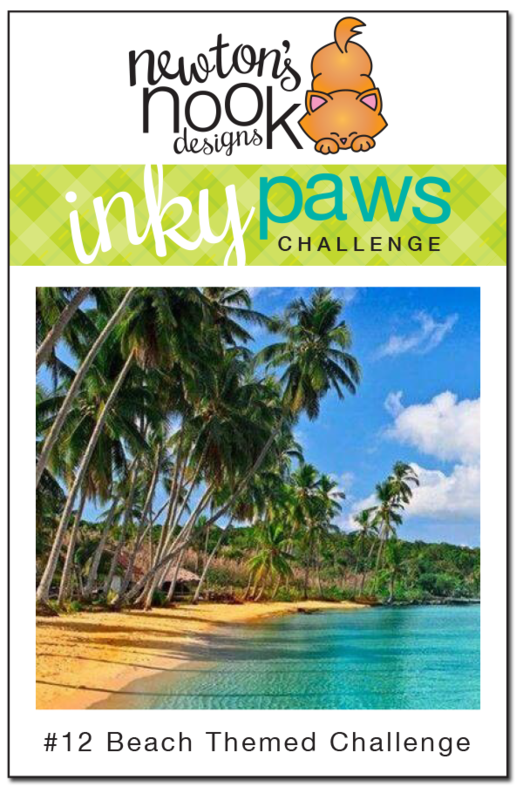 Our current Inky Paws Challenge is a BEACH THEME! Any of our new sets would be awesome to use for this challenge - or you can download the new flip flop freebie here and play along with that! The winners of this challenge will get a $10 gift card to our shop! You can view full details and link up your card to our Inky Paws Challenge on this post. What an adorable card! I would've never thought to use streamers, how cool! The pink ruffle looks fabulous, perfect with the pretty pink flamingos! Yes, this card worked: tickled pink with how pretty it is! 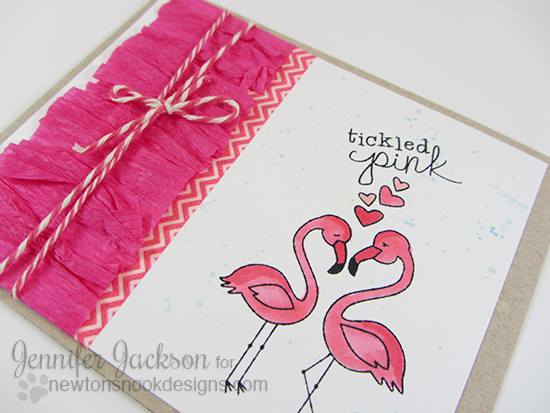 Those flamingos are darling and using the streamer as your border is sheer brilliance!